Wind River Spas owner and founder Rick Hallett has strived to make his products unique for Colorado consumers since 1978. Wind River Spas focuses on craftsmanship that can withstand the state's demanding climate and offering excellent customer service in a highly competitive industry. 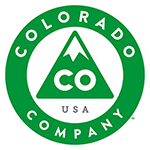 The company started in Hallett's garage and has expanded to today's operation of two showrooms and a manufacturing facility - the only hot tub manufacturer in Colorado.